The boggy shores of Lough Berg, in the wilds of West Ireland, yield up a host of crimes, past and present, for Dubliner Cormac Maguire and Irish-American Nora Gavin. Maguire, a professor of archaeology, is accustomed to fieldwork on short notice. But when farmer Brendan McGann, who still insists on cutting turf by hand, unearths the severed head of a woman with wild red hair, perfectly preserved by the peat, Maguire hightails it to Galway, recruiting anatomy lecturer Gavin to help him examine the grisly find. In the town of Dunbeg, their professional interest soon competes with their personal baggage, since the head—over 300 years buried, Nora discovers—starts village tongues wagging over the more recent disappearance of wealthy landowner Hugh Osborne’s India-born wife and their two-year-old son Christopher. And Mina Osborne’s disappearance reminds Nora all too much of the murder of her sister Tríona, killed, Nora is convinced, by Tríona’s husband Peter. Cormac, meanwhile, takes advantage of the dig to listen to local musicians play Galway folk tunes and to visit the Dungarven house where his mother raised him after his father abandoned them. He also stops resisting his attraction to Nora and begins to protect her, both from her growing obsession with the caílin rua—finding out how the red-haired girl died and how her head came to be buried in Drumcleggan Bog—and from whatever menacing stranger has telephoned threats in the night and placed a dead crow in her bed. As Nora and Cormac search for answers, the two academics are joined by a professional: Detective Garrett Devaney of the Dunbeg Garda, who courts the wrath of his superiors and tries the patience of his wife Nuala by continuing to investigate long after Mina and Christopher’s disappearance has been turned over to the task force in Dublin. 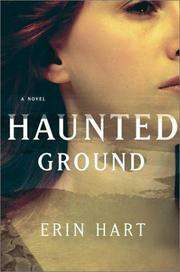 Spooky and compelling: Hart’s debut suspenser does for Galway what Sharyn McCrumb does for Appalachia.